So, to start, a quick correction for the last post. The Bethany mentioned in John 1:28 (Bethabara in the NKJV) is where John was baptizing beyond the Jordan. This was where Jesus traveled from when he went to the other Bethany where Mary, Martha, and Lazarus was. So he when from Bethany beyond the Jordan to the Bethany two miles from Jerusalem. Now, explanations on the videos. Rebekah used two of my videos on the last post. Just a note about those. The video of Masada shows the view beginning from the Dead Sea and then the fortress itself so you can get a feel for its relation to natural defenses and its size. I might also add, you get a feeling for it’s height and steepness if you walk the “snake path” to the top…..trust me on this one. The Jericho video is taken from the top of the tell, beginning with the mountains of Moab across the Jordan and then panning to the mountains beyond Jericho, showing the Israelites’ path as they approached the city (Joshua 5-6). Yesterday, our biggest stop was the Israel museum, which just recently began allowing photography. There were many exciting finds displayed here. 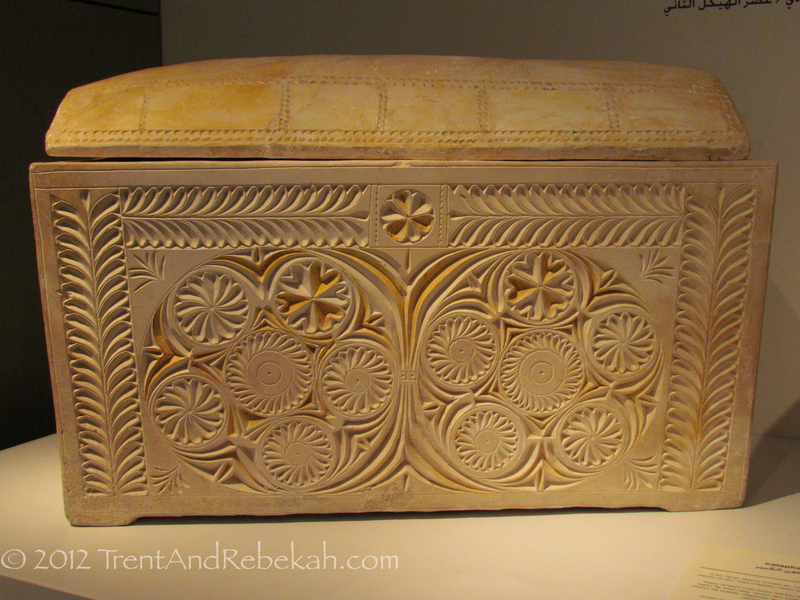 One of the most exciting would be the Caiphus ossuary, who may have been the high priest during Jesus’ trial. 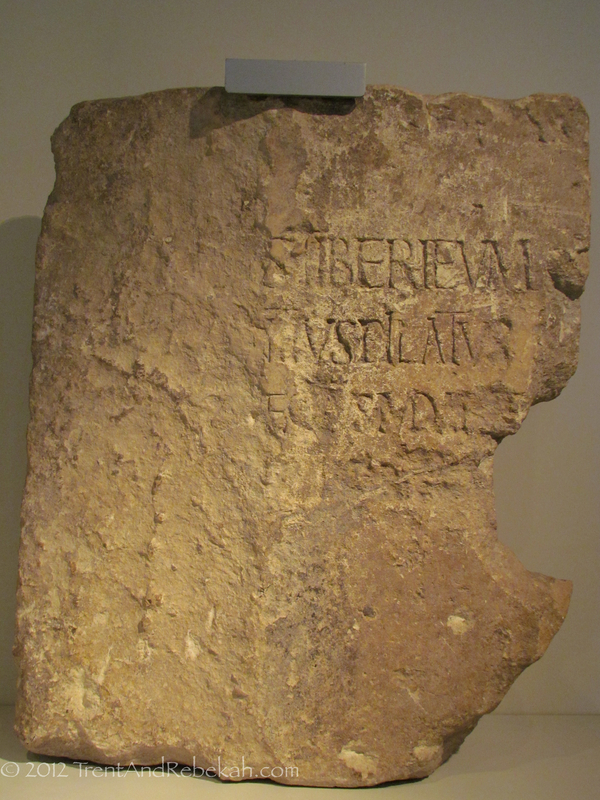 The other is the Pilate Stone we referenced a while back. This is a stone dedicating something to Tiberius from Pilate. This entry was posted on September 13, 2012 at 10:28 pm and is filed under Ancient History, Biblical Artifact, Biblical Site. You can follow any responses to this entry through the RSS 2.0 feed. You can leave a response, or trackback from your own site.